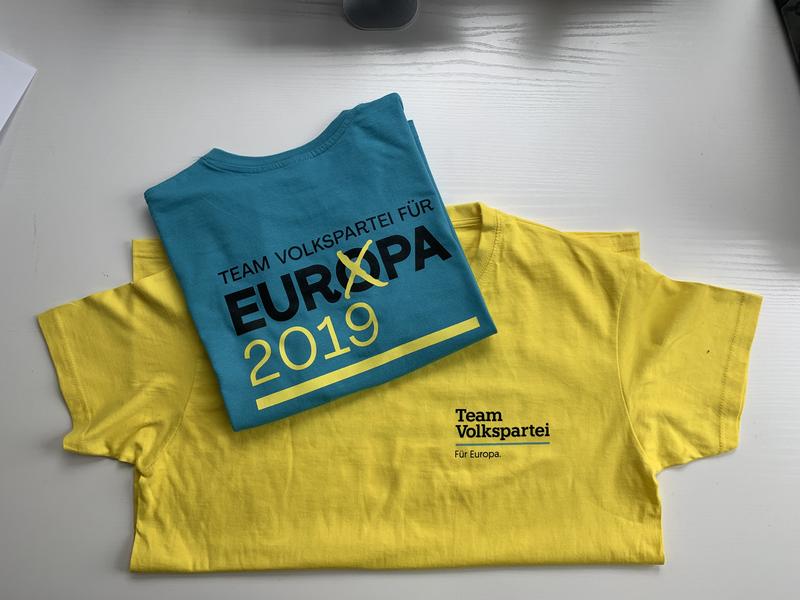 For the upcoming European election, we produced 100 softshell jackets and 600 T – shirts with a total of over 30 different designs. 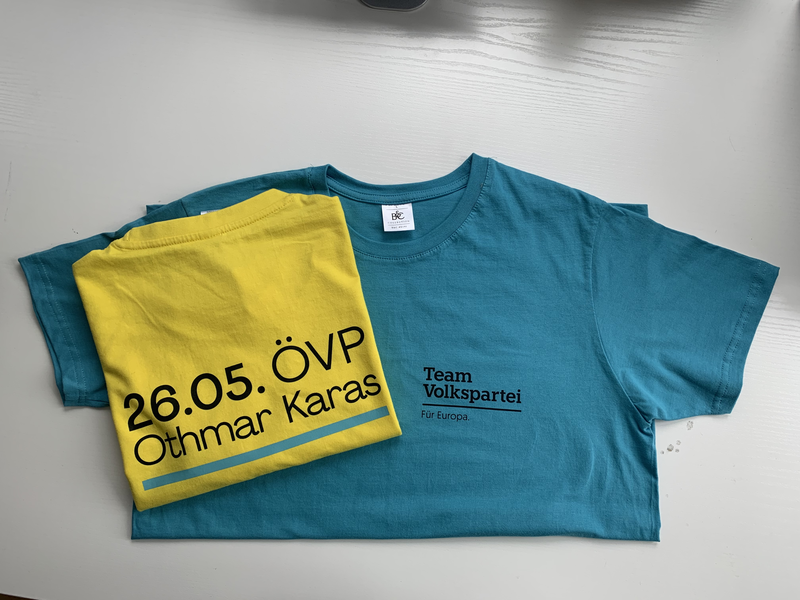 All election candidates got one personalized T – shirt in addition to standardized ÖVP – European elections T – shirts. The production was processed with Blanks.